19thc Lignum Vitae Dry Storage Barrel . English. C1800-20. 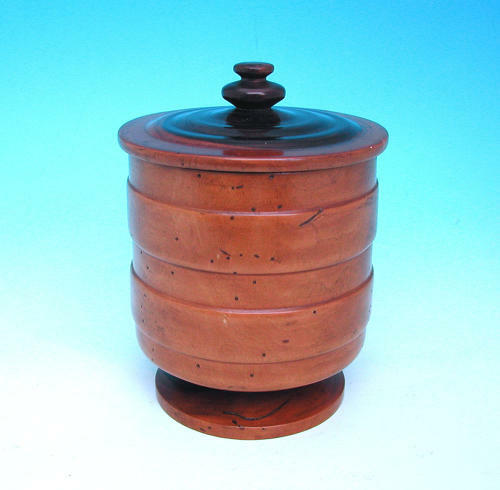 An impressive early 19thc Lignum Vitae "Dry" storage lidded barrel, excellent condition with a glorious colour that Lignum goes with age used for Flour or Spices.